The Armed Forces of the Philippines has activated a new Army battalion that would be tasked to reinforce the ongoing operations to end insurgency problems in the northern part of Luzon. 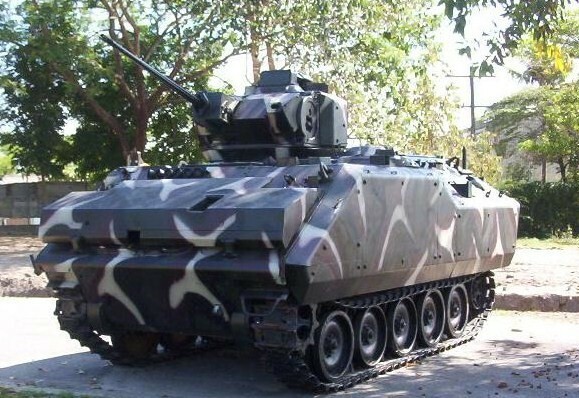 Lt. Gen. Macairog Alberto, commanding general of the Philippine Army (PA), said the 6th Mechanized Infantry Battalion is part of the modernization program of the military, thus, its personnel would be equipped with modern armaments. A mechanized battalion is equipped with tanks and other armored military vehicles. “The battalion is an addition to the MID forces which forms part of the Army’s cutting edge in conducting prompt and sustained ground operations in support of AFP’s mission,” said Alberto. “Its activation is an offshoot of the continuing Army capability upgrade as it undertakes transformation to give rise to a modular force structure aimed at creating standardized, flexible and versatile elements capable of accomplishing virtually any assigned task,” he added. Alberto said the 6th MIB will be the mechanized component of the 1st Brigade Combat Team (1BCT) of the Philippine Army which was just recently activated in December 2018. The 1BCT, it was recalled, was formed as a contingency force that is readily deployable and capable in addressing unconventional threats to national security. Other maneuver components of the 1BCT are two infantry battalions and maneuver support consisting of specialized enablers such as field artillery and engineering combat battalions. Alberto said the Brigade Combat Team also has a reconnaissance company and units from signal, intelligence, civil-military operations, military police, explosive ordnance, CBRN (chemical biological radiological and nuclear), and sustainment components composed of a forward service support unit and a forward medical platoon. “True to your name ‘Salaknib,’ which means shield in Ilocano, your unit symbolizes protection, strength, and security as you serve as the rapid deployment force of the Mechanized Infantry Division responding to the requirements of the Philippine Army in the conduct of ground operations against emerging security threats,” said Macairog in his speech. President Duterte has been pushing for additional police and military units, particularly those engaged in combating insurgency problems. In the police, he had recently ordered the creation and recruitment of at least six new battalions of police elite Special Action Force. This is interesting. Somehow, someway the Philippines have gotten themselves into a full blown counter insurgency type conflict. If you've seen the geography then you know the sad truth. This thing could drag out for a century. There is no way that the govt can control all those islands and the terrorists have ready made safe havens. An additional battalion will probably help secure govt controlled territory and allow them to stabilize contested space but stomping it out?